Over the next few weeks we will be exploring some unique, and hopefully inspiring, sounds made in Absynth. 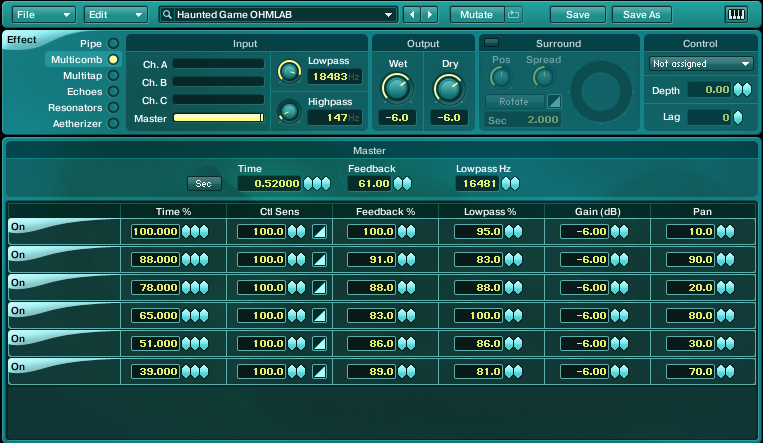 A slight departure from the norm is what Absynth excels at, so we start off with this haunted Absynth gaming synth. What is a gaming synth, you ask? Well, I consider it to be any sound that can successfully be used in the gaming industry. Many people automatically think of chip tune synths and the throwback 8-bit sounds that started it all. But really, nowadays it could be a cinematic score rivaling the very best that Hollywood has to offer. In this case, I imagine a sound like this one being used to create an atmosphere, evoke emotions and help to create a deeper experience for someone playing a game that involves mystery, searching and intrigue. There are obviously a ton of games like around, and countless sounds have been created to support them. A synth like this one is easily modified in any number of ways to once again become unique, so experimentation is highly suggested after you have finished following along with this quick lesson. And if you have designed sounds used in the gaming industry in any way, consider sharing them with us in our forums. We’d love to hear them! We begin by setting up the main oscillator modules. In this case, I have chosen to use Triangle waves, as they are at the core of many of the signature sounds in the early years of video games. Oscillator A has a single Triangle wave loaded and the pitch has been transposed up seven semitones. Oscillator B is loaded with a single Triangle wave with the pitch transposed up fifteen semitones. Oscillator C is running a double Triangle wave and the pitch has been raised two octaves. Each of the three oscillators have a small amount of Phase added as well. The synth is set to run in Stereo mode, and the volume and pan position settings of each oscillator help ensure a nice balance in our Absynth gaming synth. This sound is then routed through a Cloud filter loaded in the main output strip. 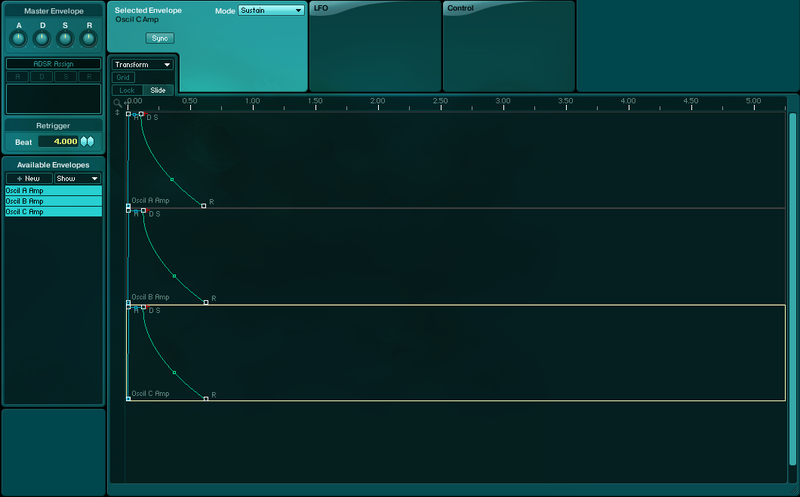 After that, it passes through a Lowpass 4 Pole filter and then finally it is routed into a Multicomb effect. 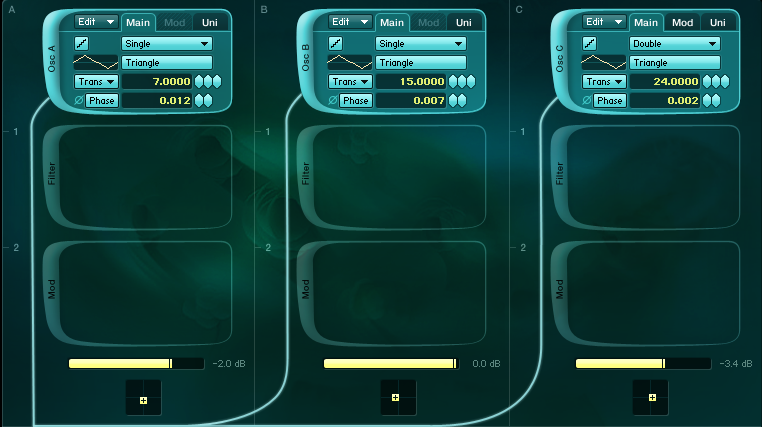 These three things affect the sound dramatically and this Absynth gaming synth begins to take shape here. The main oscillator envelopes are kept very simple. You can alter this as you see fit for your projects. I wanted a simple and easy to follow sound design session for this tutorial. Here you can see just how the Multicomb effect is set up and how it affects this Absynth gaming synth. The various layers combine to generate a very smooth, yet haunting and almost unsettling, sound. It works well with classic cinematic horror and suspense progressions. Below is a short audio sample of the synth in action alongside some drums to give you a better idea of how it could be used. If you really want to add more interest to this Absynth gaming synth, you can begin by making some LFO assignments to introduce some movement and modulation into the mix. You may also enjoy what happens to the sound when you change the main effect or even swap out one of the triangle waves in the main oscillators with a sample run through a granular unit. The possibilities are absolutely endless with this amazing synth. It’s no wonder at all that this is one of the favorite tools for people working in the film and gaming industries.